First there was the idea of cloud, followed by a tangle of cloud services piled up in every business around the globe. To manage such an eclectic pile of business user favorites, IT began to think of the piecemeal approach to doing business as the multicloud and set about to find ways to cobble it all together and make it work. But the reality is that business users still find themselves searching for an elusive mix of capabilities defined by individual workloads, and the services that make those capabilities more accessible and the work more manageable. The multicloud approach doesn’t solve those problems and so data silos persist, and economies of scale provided by cloud computing are rarely fully realized. To rectify those problems, there needs to be one cloud that can and does accommodate every workload. Now, such a cloud finally exists. There are two main components in the one cloud strategy: hardware and software. Microsoft has addressed both with a firm commitment to expanding capabilities, improving efficiencies, and making all of it more accessible to more users. By expanding capabilities, Microsoft meant to take services to the cloud that before were impossible to move off the ground, including high-resource workloads such as artificial intelligence and supercomputing. Now those too are in the cloud as a service. Microsoft partnered with Cray, NVIDIA, and Intel to complete the cloud infrastructure needed to meet the needs of any workload, no matter how complex. The partnership with Cray brought supercomputing to Microsoft Azure datacenters for workloads in HPC, AI, and advanced analytics at scale. This exclusive partnership means organizations no longer need to compromise by either choosing the cloud for the large repositories or on-premises for the dedicated, tightly coupled architecture. Now organizations have both in the cloud with no compromises in capabilities, resources or performance. New GPU offerings through the partnership with NVIDIA make it possible to train machine learning in a faster, more economical way and do it in the cloud. The NCv2 and ND series will be generally available by the end of 2017 to further those advancements in cloud computing for AI, machine learning and deep learning. The Azure NC-series enables users to run CUDA workloads on up to four Tesla K80 GPUs in a single virtual machine. The NC-series also provides RDMA and InfiniBand connectivity for extremely low-latency. This enables users to scale-up or scale-out any workload. Linux and Windows virtual machines can be created in seconds for a wide range of computing scenarios using your choice of language, workload and/or operating system. Microsoft makes it easy to run HPC in the cloud by offering an array of direct access services for end users, including Azure Batch, Batch AI, Batch Rendering, and CycleCloud. Azure Batch enables batch computing in a cloud environment and handles resource provisioning, which enables the user to focus on their workload and not their infrastructure. No capital investment is needed to gain access to a tremendous amount of scalable computing power. Batch AI is a new cloud service that handles deep learning training and testing in parallel at scale. It frees researchers to focus solely on model development. Batch Rendering is Azure’s rendering platform, which also offers pay-per-use licensing for third-party rendering software. Both are domain-specific layers on top of Batch that further simplify access to compute resources for a given domain. CycleCloud delivers cloud HPC and Big Compute environments to end users, and automates configurations too. As any IT staff member knows, a strong ecosystem is essential to bridging and integrating applications, stabilizing and maturing a new technology or configuration, and generally adding to its capabilities and features. To that end, Microsoft has built a broad partner ecosystem around its one cloud concept that includes such heavy-hitters as Rescale, PBScloud, and Teradici. Rescale on Azure is a high-performance computing (HPC) simulation platform which is fully integrated with all Azure data centers and over 200 simulation software applications. PBScloud is also a HPC cloud management service with a wide range of tools to control and manage security, governance, costs, and poly-cloud environments. Teradici provides the means for businesses to easily move Windows or Linux client applications to the public cloud. 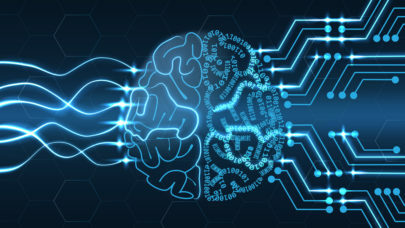 Other partners will join the ecosystem over time as new applications such as those surrounding the still maturing AI industry arise and the need to be able to accommodate them and manage everything grows. Combined – hardware, software, and ecosystem – deliver the first ever ‘one cloud for every workload’ concept. It’s the result of an innovative and aggressive effort to overcome previous cloud limitations and reach high enough performance levels to meet the requirements of complex and large workloads. Until recently, such hasn’t been possible which is why bleeding edge workloads in HPC remained grounded in on-premises data centers and are the last to move to the cloud. Some companies are using Microsoft cloud to move expenses from capex to opex and otherwise capitalize on economies of scale that cloud environs uniquely offer. End users prefer the ease of access and the one stop, silo busting capabilities rather than the typical span of cloud services. Others prefer to test and benchmark new HPC and AI hardware and software before investing their capex dollars and associated labor costs. Still others are looking to this new one cloud idea to help them tame the coming avalanche of IoT data and the advanced analytics and data storage needs that are attached. In any case this is the first cloud concept of its kind to hit the market. An array of exclusive partnerships, such as with Cray Supercomputing, makes it unlikely that a comparable competitor will arise any time soon. Obsolesce is also not likely to be an issue, given the innate nature of cloud computing structures (constant updates and upgrades), and the unique configuration of this specific cloud concept.